Check Out Our Star Wars Celebration Cosplay Gallery! 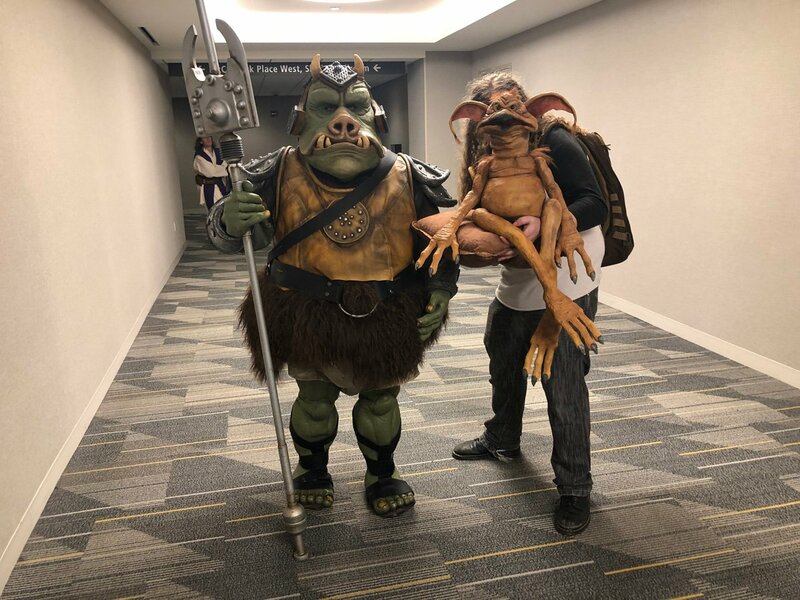 While the new trailer for Star Wars: The Rise of Skywalker may have been the central event of this year’s Star Wars Celebration in Chicago, the most fun aspect of the con was seeing the myriad costumes fans put together to show off their skills. Check out over 85 amazing Celebration cosplay photos in our gallery below! RELATED: Are Rey’s Parents in the Star Wars: The Rise of Skywalker Trailer? Returning cast members for Rise of Skywalker include Daisy Ridley, Adam Driver, John Boyega, Oscar Isaac, Lupita Nyong’o, Domhnall Gleeson, Kelly Marie Tran, Joonas Suotamo and Billie Lourd. Joining the cast are Naomi Ackie (Doctor Who), Richard E. Grant (Logan), Dominic Monaghan (Lord of the Rings), Matt Smith (Doctor Who) and Keri Russell (The Americans), who will also be joined by veteran Star Wars actors Mark Hamill, Anthony Daniels and Billy Dee Williams, who will reprise his role as Lando Calrissian. Star Wars: The Rise of Skywalker has J.J. Abrams (Star Wars: The Force Awakens, Star Trek) returning to direct the ninth and final installment of the Skywalker saga. Abrams co-wrote the screenplay with Chris Terrio (Argo, Justice League). Composer John Williams, who has scored every chapter in the Star Wars saga since 1977’s A New Hope, will return to a galaxy far, far away with Rise of Skywalker.